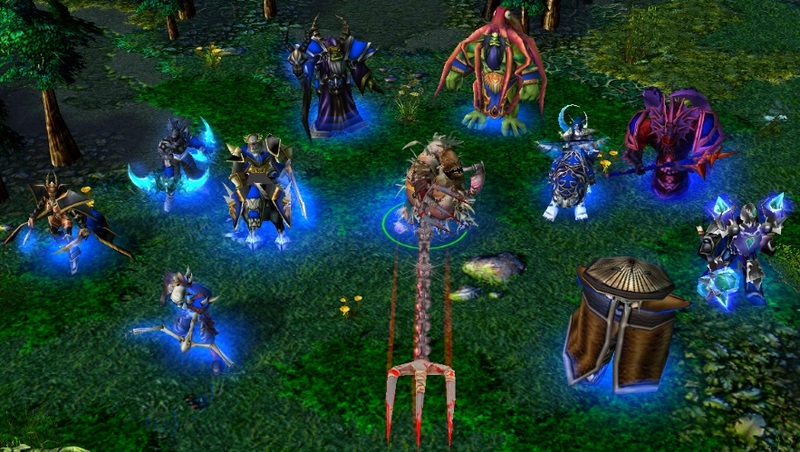 DotA Allstars is a completely free project, made on pure enthusiasm. We all have families and regular paid work to do. We do not get paid in any fashion for making this map. If you want to do us a favor, you can help the project by donating, spreading the map, or testing and reporting bugs. Donate! Support LoD & DotA development! We do not have any sponsors or official supporters, this project is done completely on our own time without any pay. If you want to support our movement, if you want to see DotA Allstars being developed continuously, if you want to see it become even better than it's successor Dota2, you can support us directly by donating. Any donation amount is welcome - thank you in advance! You get ingame bonusses attached to your ingame name! All you need to do is donate 1$ (or more, if you want to receive more bonusses). Make sure to include your ingame name in a message attached to the donation! Thanks for considering a donation! For 1$ or more you receive question mark ? deny. For 5$ or more you receive all emoticons. Every extra model has it's own price, which can be seen at this page. Activation may take up to 24 hours, but normally less than 6 hours. Still have questions regarding that? Visit Frequently Asked Questions! Please read all this information carefully before donating if you want to receive ingame bonusses! Note that we can't provide anything for players with non-latin symbols in their nickname. Your ingame name in Warcraft 3 must be completely out of readable symbols. Visit this site to see which characters/signs in your name are allowed. We can't receive RGDs or cryptocurrencies, don't bother asking about that. If you are playing at a platform with an old and outdated map, you can point out to the administration that reborn DotA Allstars has new versions of DotA2 ported over, and many helpful new features. It contains all content as it's successor, DotA2 (up to a certain patch). DotA Allstars got rid of most bugs that were in IceFrog's maps. Finally, it updates faster and provides more valuable content. Help us to grow stronger by telling others about the map! Play the map and report discovered bugs. Report issues with any texts or tooltips as well - English isn't our native language, and grammar-nazing will never hurt. You can also test everything on your own, in a single player mode, thanks to the implemented advanced test commands.